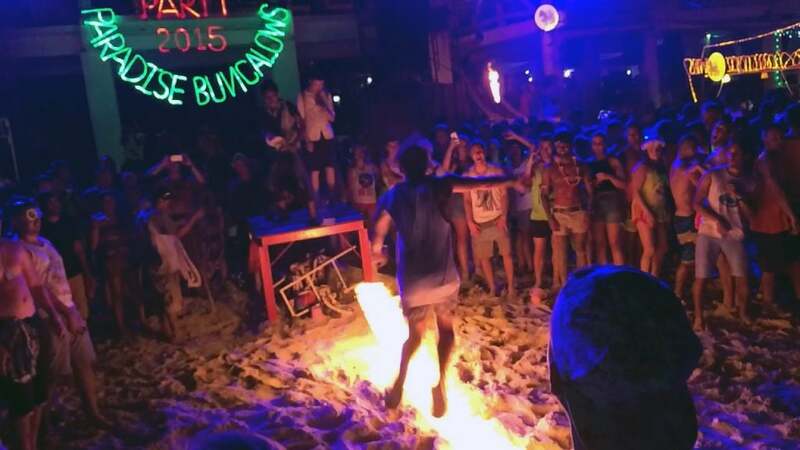 The famous Full Moon Party is a must do activity during your stay in Thailand. Thousands of people travel every year to Koh Phangan so they can take part in this once-a-month festival. When the full moon is shining, people dance under black lights, paint themselves with neon colors, and enjoy the beautiful Sunrise Beach on this island. The Full Moon Party is an activity everyone should add to their bucket lists. Because you will be partying on the beach for the whole night, don’t take anything you wouldn’t be okay losing. Wear light clothes and don’t take any additional shoes or warm jackets in a backpack – you can buy everything you will need cheaply on the island. This makes it easy to pack light for the Full Moon Party. They even sell body paint, colorful clothes, and sunglasses at the Full Moon Party. One good tip is to wear a swimming suit under your clothes, so you don’t have to carry them with you everywhere. Necessary things you should have on the party are of course money, ID, phone, and that’s really it. In some cases, you can even leave your phone behind. Travelers who don’t have accommodation on the island should have ferry tickets in a waterproof bag and preferably one long sleeved shirt if the forecast promises chilly night. The last but the not least thing you should remember is to keep your accommodation key safe. In better hotels and resorts, you can leave your key at the reception and get it back from there after the party using your ID. The most important thing regarding what you should pack is whether you have accommodation near Sunrise Beach. If you live temporarily right next to the party area, it’s easy to leave everything except money, key and ID card to your room or safe locker. Those who travel from other parts of Thailand and have accommodation there should take a little more clothes and in some cases even better walking shoes with them to Koh Phangan. Use our website to plan your holiday in Koh Phangan. Check out the next Full Moon Party dates and book your accommodation with our recommendations. You can also read more general tips for the party or ideas on what else to do in Koh Phangan from our Full Moon Party guides. Just be sure to pack light for the Full Moon Party, so you’re not weighed down your by your things.